Dropdown menu questions with the < or > symbols were not displaying as expected and have now been corrected. 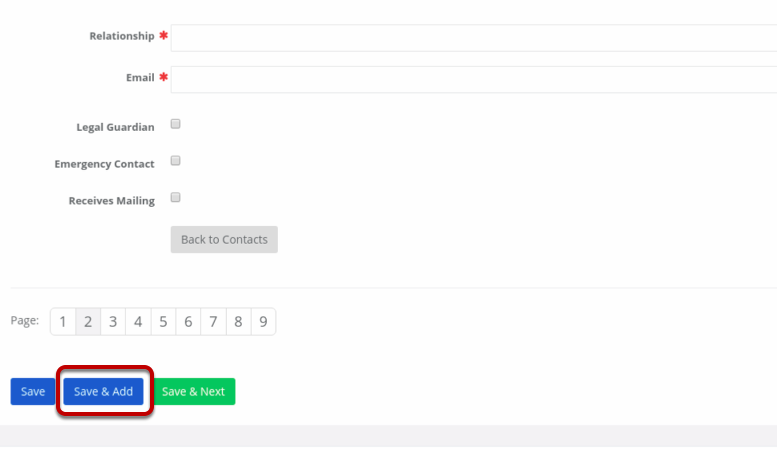 As a parent within a Contact Form during Online Registration, the Add Contact task would require the parent to first select Save and Next, and then hit the Back button to add another contact. Now, a Save and Add button is available when adding contacts. Learn more about this feature by visiting Online Registration! 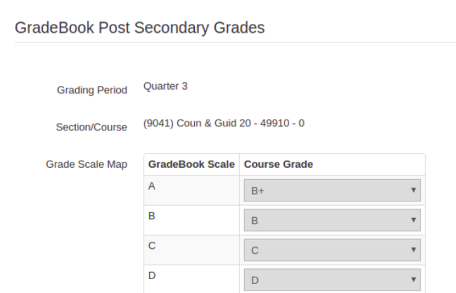 The grade book grades have been corrected to pre-populate in the Final Grades column, whether or not the map was previously saved. A new Did Not Test field has been added when managing student records for CAASPP results in State Data Management. Updates have been made to MO MAP 2017-18 tables and have updated missing cut scores, overall minimum and overall maximum scores. An error occurred where 12 year olds were placed into Needs Improvement for Aerobic Capacity when they achieve 23 laps. The report now ensures that 12 year olds who are placed into the Healthy Fitness Zone when they achieve 23 laps. Students who only have a score for one side were being placed into the Healthy Fitness Zone for Flexibility. The Coordinator manual states that 'Back-Saver Sit and Reach and Shoulder Stretch both left and right sides are needed to calculate a flexibility score. This has now been corrected. Due to out of date information and structure, the LCAP Report has been removed from all instances and users at this time. California's ELSSA Report has been archived due to out of date information and structure. 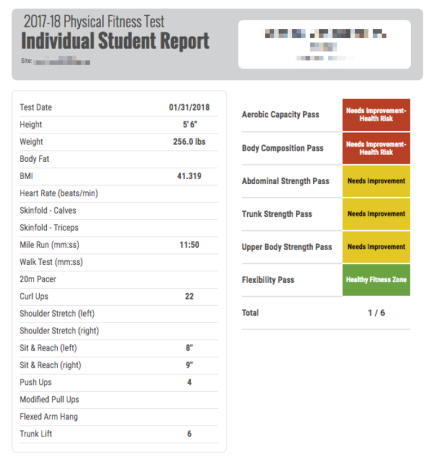 Due to out of date information and structure, the Academic Progress Monitoring Report has been removed from all instances and users at this time.